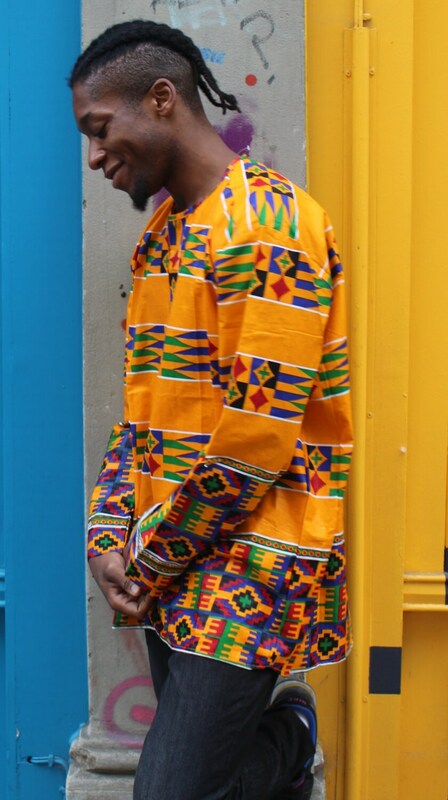 The Hamed Top is a Funky African Shirt. 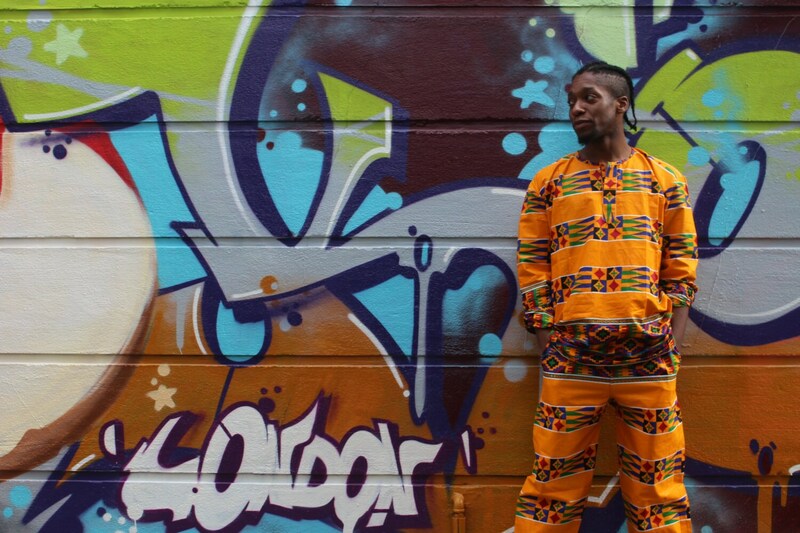 A simple, pullover African T shirt designed for comfort. New for SS17 is a reworked design with a simple fit and V-Neck and improved cut for comfort. 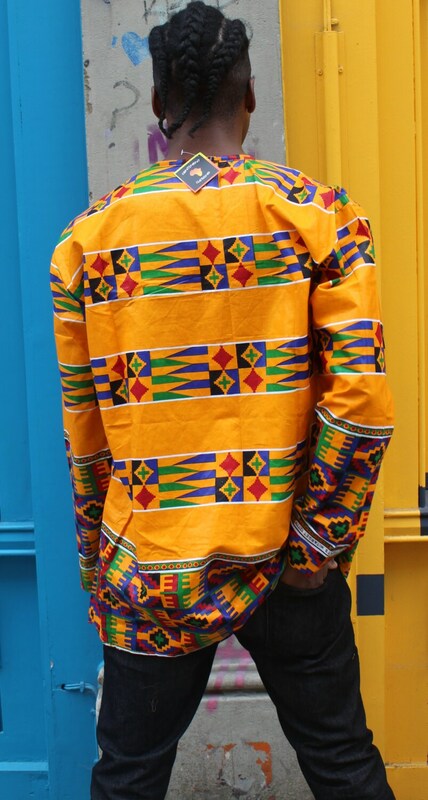 The vibrancy, colours and geometrics of Africa make this the the perfect festival shirt. 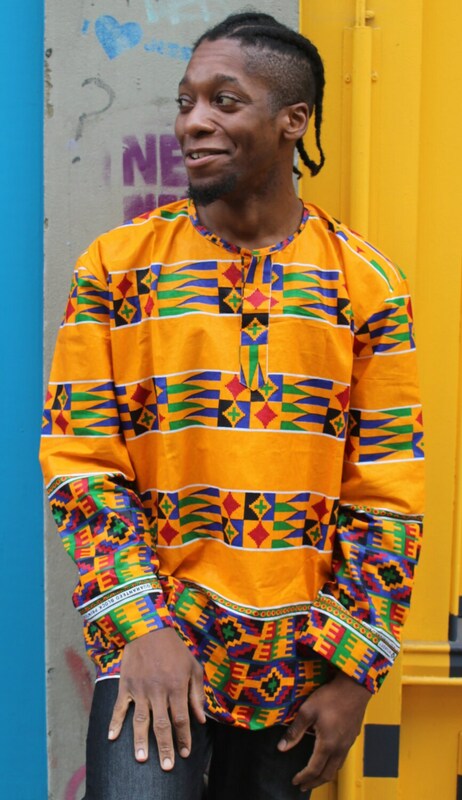 This Kente Shirt was made by our very own Hamed in Sukuta in Gambia. - Eldest of 3 tailoring brothers who work with Continent Clothing - Allagi and Omar are the other brothers.